Since we already have been very loud enough to tell that it our First Birthday celebration this month on 19th April. 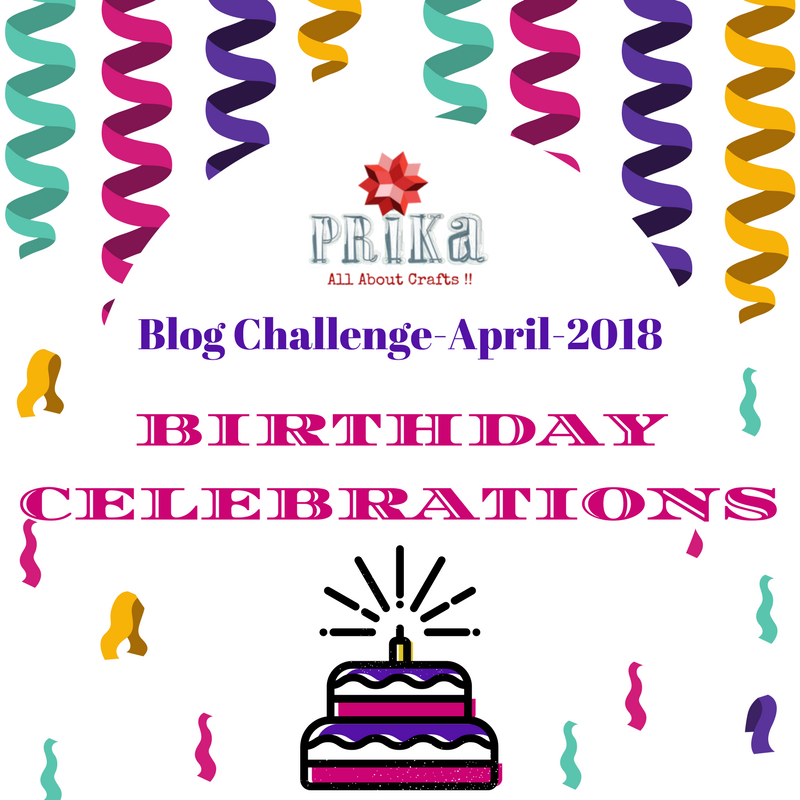 We just came up with an exciting challenge for you all to create something for Birthday Celebration theme. 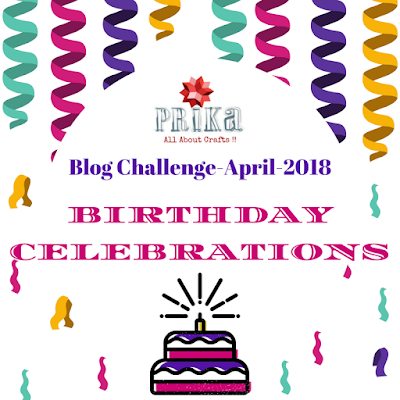 We are already very excited to see all your creations for this theme also making us feel a little special…..This Challenge will be active from 15th April to 15th May 2018, considering late day of entering the challenge 10th of May and announcement of winner on 15th May, 2018. 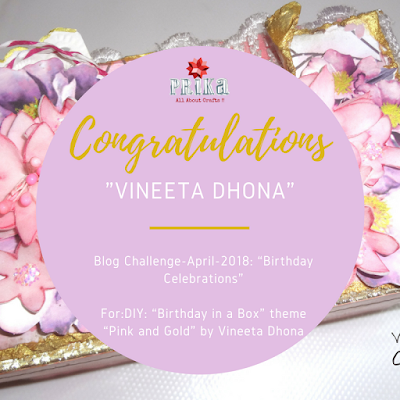 Don’t wait for last day to entre since it becomes very difficult for us to feature your entry on the blog before time and we really dont want to leave behind work of any talented crafter…..
Share this challenge post on your timeline setting as public. You are open to use any sort of craft style, Altered art, ATCs, cards, scrapbook pages, gift ideas or any other craft projects are acceptable as long as they fall into the theme for challenge. After the project is published on the blog , do share the blog post/ blog link from our social media pages-when posted on our Facebook page, Instagram and Twitter, mention our blog in your post or your entry will not be counted. It should be handmade and reflect your creativity. Keep Following us for more Craft Inspiration, Ideas, Events and Contents! !